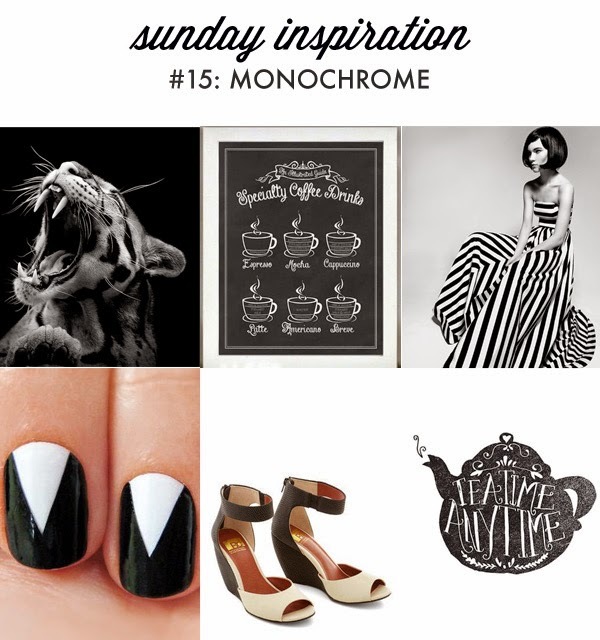 Tulle & Combat Boots: sunday inspiration #15: monochrome. Happy Sunday! Today we're looking at inspiring images and items that feature classic black and white. If I had the skill & patience I would attempt some of these. Black and white/monochrome will forever be one of my favorite color combinations. Always classy. Don't forget to see what's inspiring Katie from Today I Want this week!